The Firehouse Grill and Bar is a local family owned restaurant in Ammon, Idaho. Firehouse's motto is: Treat Everyone Like Family. It is because of this motto that often times, when you are dining for lunch or dinner, stopping by for a quick drink after work, or hanging out and watching the game, that you will see Kevin, the owner, dropping by tables, sitting down and getting to know you! 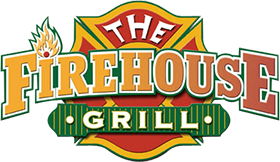 If you are looking for a restaurant that makes you feel like you are a part of something special, The Firehouse Grill and Bar is the place for you! It is not only Kevin that creates this atmosphere, but his awesome serving staff who take it upon themselves to make regulars out of every customer that walks in the door. Join us for The Happiest Happy Hour in Town! Also, don't forget us when you're looking for a place to watch the big game. Our restaurant has over 35 TVs, so you won't miss out on anything! On top of all the screen, we have two Golden Tee Machines located in our Dugout. It's the perfect spot to hang out with your friends and golf indoors!